Of all the books I read while researching Lilac Girls Code Name: Zegota by Irene Tomaszewski and Tecia Werbowski was one of the most helpful. It is a fascinating look into Zegota, a little-known underground movement, which operated during WWII in Poland. It inspired much of my character Kasia’s clandestine life in Lilac Girls and I recommend it highly. 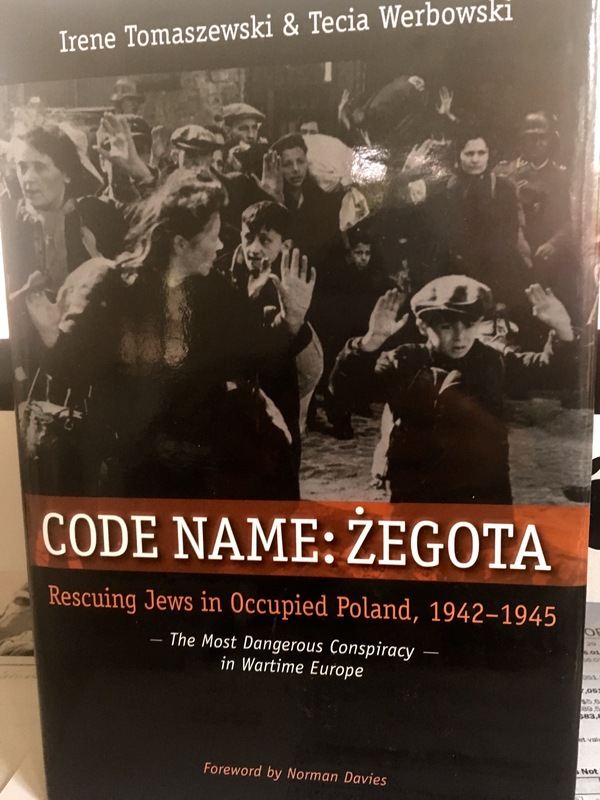 When I first started researching Lilac Girls I read your book Code Name: Zegota: Rescusing Jews in Occupied Poland, 1942-1945 and was surprised to learn there was such a large, well-organized council to aid Jews in Poland. For those who are not familiar with Zegota can you explain how it started? This is a tall order and I do recommend reading the book. But I will try to answer your question, though the answers must be brief. At first, aid to Jews was primarily initiated by individuals helping Jewish friends or former colleagues. Children found wandering on their own were taken in, fed and placed privately or in institutions. Many of the people helping were also in the Polish underground resistance so they could obtain some help from that organization. Doctors, nurses and social workers were cooperating as well. By 1942, the Warsaw ghetto was being liquidated and it was clear that help had to be better coordinated, though still in utmost secrecy. Some of the people already involved in helping, and in working with the underground, created Zegota which, by the way, is just a family name so it could be mentioned without arousing suspicion. Day to day, how did Zegota operatives, help thwart the Nazis in Poland? They helped Jews, especially Jewish children, out of the ghetto; they found them shelter either with Polish non-Jewish families or, if they could “pass” as Poles, i.e. they spoke good enough Polish and did not look or act like Orthodox Jews – Zegota supplied them with forged documents to substantiate their false identity, and got them work and the documents to go with that. Children were placed either with Polish families or in Catholic or state-run orphanages. Children also had to be supplied with false documents because the Gestapo frequently checked orphanages. For this reason, the children had to be taught how to behave like the other children, they had to learn prayers and other information in case a German officer questioned them, and to never talk about their real identity. This was extremely stressful fort the Jewish children, but also for everyone involved since if caught, all of them would have been executed. Zegota also did everything possible to get news of the situation of the Jews during the German occupation to the outside world since Poland was completely surrounded either by Nazi Germany or the Soviet Union. Zegota members escorted Jews in need of shelter to their new homes to help them control their fear and thus give themselves away. Most important was providing funds. Since Poles were restricted to strict and very small rations and Jews were not entitled to any, extra food had to be obtained on the black market, a dangerous and costly business. What was the role of Girl Guides in Zegota? Many high school and university girls served Zegota, and the underground resistance in general, as couriers. This was very dangerous work and many young women were caught, sent to prison for interrogation, and then sent to concentration camps (including Ravensbruck), or executed. You and Tecia Werbowski co-wrote Code Name: Zegota. How did you become interested in the subject? We are both Polish, Tecia Jewish and I Christian. Tecia’s life was saved by Zegota people and when we met, I was just then researching this unknown story. We decided to do the book together. How large was the Polish underground and why was it so much more extensive than those in other countries? Poland had been partitioned between Russia and Germany earlier in its history so when the same thing happened in 1939 – many forget that Hitler and Stalin were allies for 20 months from September 1939 until June 1941 – and civilians were targeted from the start, Poles were well aware that this would be a terrible war. They had a long history of resistance to both German and Russian oppression and this new form with Nazi Germany and communist Russia, was a matter of survival. Can you tell us about SWIT, the Polish secret radio station? SWIT was a radio station that broadcast from London, although it identified itself as a station in Poland. The Germans spent years looking for it in Poland but, of course, could not find it since it wasn’t there. SWIT was such a well-kept secret that very few Poles knew its location. The underground got news to SWIT by a vast network of couriers and had a network of mobile radio transmitters in the country to transmit news to London as well. How did Zegota discover what was happening inside concentration camps and get the word out to the West? The underground, especially those involved with Zegota, kept steady contact with representatives of the Jewish community. One Courier, Jan Karski, delivered an eye witness report about the Warsaw ghetto and a transit camp for Jews being take to death camps. He did so with the aid of Jewish leaders and was given the mission of delivering this news to leaders in the West, among them Churchill and Roosevelt. One young courier who helped Karski was subsequently arrested and sent to Ravensbruck. I recommend an excellent new documentary, Karski and the Lords of Humanity. Why did the world not listen to their reports? Officially, because the war itself was the priority. But also, it seems, the plight of people far away and unseen did not seem very important to world leaders. In Zegota you write about The Eagle Pharmacy. Can you tell us a bit about it? I found that story very moving. This pharmacy was located in the district the Germans enclosed as a ghetto in Krakow. For some reason the Germans allowed it to remain there, even though it was owned by non-Jewish Poles. It was an oasis of peace in a place of terror, and provided a psychological lift for everyone who entered it. An amazing story, well worth a film. Many years after the war Wladyslaw Bartoszewski, one of Zegota’s founders, said “The only people who can say they did enough to help the Jews were those who died for them.” Can you mention a few cases of those who gave their lives to help Jews in Poland? There were a great many, including entire families from babies to grandparents. The most famous today is the Ulma family whose name is given to a new museum dedicated to Poles who saved Jews. What did you learn while writing Zegota that surprised you most? The entire story is so fascinating that it’s hard to pick just a few things. But certainly I was struck by the fact that this extraordinary story was simply unknown. We knew that under the communist regime, Moscow simply did not allow anything good to be said or written about Poland because they wanted to discredit it, suppress information about Soviet collaboration with Hitler, and justify its post-war control of the country. But here in the West? Maybe it’s because there was no happy ending for these brave people so recognizing them would mean acknowledging that Poland, the most loyal ally against Hitler, was ultimately betrayed. But the stories are finally coming out and they are breathtaking. Thank you so much, Irene, for this wonderful inside look at Zegota. 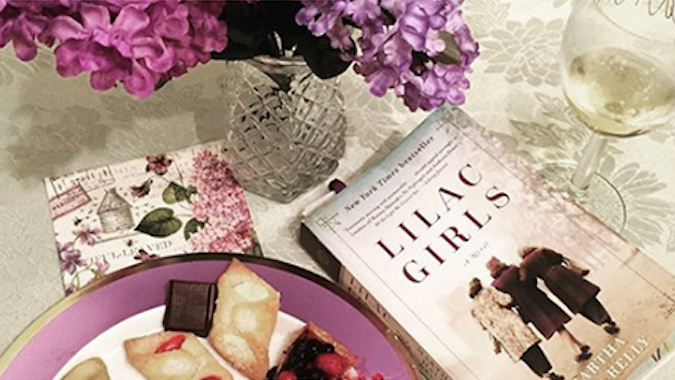 Lilac Girls readers will find it a good resource for the true story behind the novel.